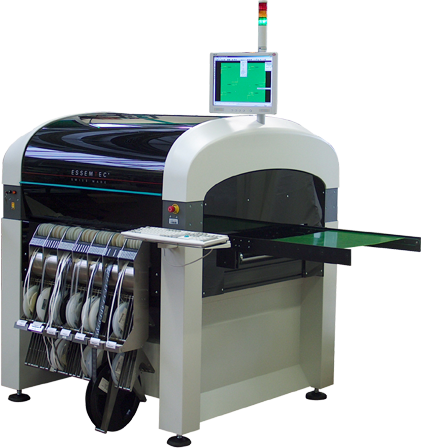 Your data file will be photoplotted, drilled and wet processed, pressed (up to 24 layer count), screenprinted, finished and quality assured. At each stage your job will be manually inspected, and it is because of our attention to detail over this process that our job success rates are close to 100%. RAK staff are committed and passionate about pcb quality and delivery schedules. We liaise closely with our customers to ensure the success of unusual jobs or managing external specialist finishes such as bare-board testing. RAK's 'Pick & Place' system gives clients added value with a speedy full SMD assembly on-site. Our range for components is from 0201mm to 50x50mm.